Carol Bryant, the social media and PR director of both the magazine and its associated website and blog, FIDO Friendly.com, has been traveling with her dogs for some 16 years. She’s ideally positioned to discuss the latest developments in the pet travel segment. Behind every successful pet travel writer there’s a good dog. 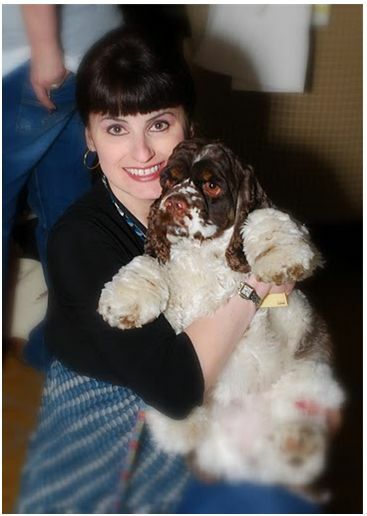 In Carol’s case it’s Dexter, the Cocker Spaniel she calls “the heartbeat at my feet.” Carol didn’t think she could bear to feel deeply for another dog after her companion of 15 years passed away, but Dexter proved her wrong. 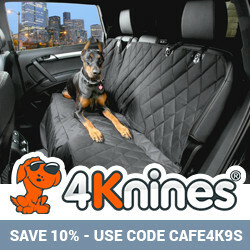 So What Makes a Place FIDO Friendly? Asking if you’re interested in a massage when you check in and discovering they mean for your dog, not for you: Dog welcoming. Useful features such as pet sitting services and areas set aside to take Fido to the bathroom are important too. And these features can’t be faked, as friendliness can be, even if the property is aware that Carol is a member of the media. Lucky thing. Carol often tries to go incognito, but says it’s tough to be undercover when she’s with Dexter, who has such a sparkling personality that he carries an aura of celebrity. 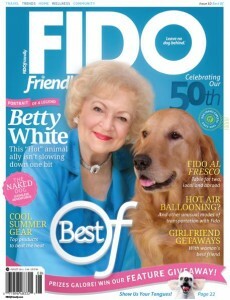 Celebrating its 50th issue, FIDO Friendly still has the youthful attitude of a puppy, Carol says, continuing to look with fresh eyes at a variety of dog-related subjects in addition to travel. Other topics that fall under Fido Friendly’s aegis include health and wellness, new products, training, and trends in all areas. Another sign of the keeping up with the times: The website, including the blog to which Carol is a key contributor, continues to grow and improve. In time to coincide with the 50th anniversary, it rolled out a new look. Still, maturity is a great asset, something to be heralded. So it was natural — and a coup — for Fido Friendly to feature on its Golden Anniversary issue cover one of the Golden Girls, the inimitable Betty White. Naturally, she’s accompanied by a Golden Retriever. Pretty punny, huh? This entry was posted in Edie Jarolim, Pet Travel and tagged Carol Bryant, Fido Friendly, pet travel on July 11, 2011 by Edie Jarolim. Very well said, Hanna. When dog lovers and travelers feel their pooch is welcome, they tend to stay longer and make return visits. Love reading that you take your shih tzu with you. Enjoy your fun travels! It’s funny that you make a distinction between places that merely tolerate dogs and those that are actually welcoming because I’ve noticed that as well. I take my little Shih Tzu with me just about everywhere — shopping, visiting friends and vacationing. Sometimes he is allowed entry only because I insist while other times he is greeted with sincere enthusiasm. And you known what, he most definitely senses the difference. So whenever possible, we frequently only those places that are “dog friendly” and shun those that are not. Great article and interview. What wonderful dog lovers both of you are, a true testament for our furry friends everywhere! Thanks for sharing the interview. loved this interview; I just went to Barnes and bought the magazine. Great addition to my monthly subscription. SO excited and honored to be a part of Animal Cafe. Well-written piece, Edie, and stellar hosting. TY for this opportunity and we encourage everyone to come check us out at FIDO Friendly, explore and join the pack.